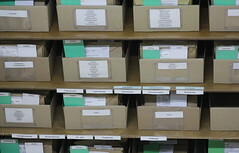 The Fungarium is a systematic reference collection of fungi organized as a part of the Yugra State University Biological Collection (YSU BC). The collection is registered in Index Herbariorum under the acronym YSU (the Fungarium collection’s acronym is YSU-F accordingly). The YSU BC is a part of the Environmental Dynamics and global Climate Change department (EDCC). The fungarium collection was started as part of the biodiversity study program of EDCC YSU and a PhD work of one of its staff members around 2010. It was later supplemented by collections of several mycologists working in the area. The main purpose of the Fungarium is to initiate and facilitate systematic studies of fungi of the taiga zone of Western Siberia. It also serves for education and can be used by specialists in different applied disciplines. 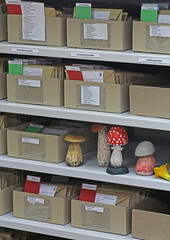 The collection is gradually growing and is open to prospective users such as taxonomists interested in work with a particular group of fungi represented in the region. To this, an online database of collection managed in Specify is available at http://bioportal.ugrasu.ru/specify-solr/fungarium.